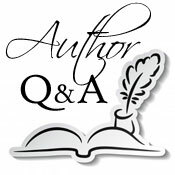 We are delighted to welcome author Mark S. Bacon to Omnimystery News today. Earlier this week we featured an excerpt from Mark's new mystery Death in Nostalgia City (Black Opal Books; October 2014 trade paperback and ebook formats). We recently had the opportunity to spend some time with Mark to talk more about it. Omnimystery News: Introduce us to your new series characters. What is it about them that appeals to you as a writer? Mark S. Bacon: Lyle Deming — After many years as a Phoenix police detective, Lyle's anxiety level is off the charts. Looking for peace, he takes a job driving a cab in a giant, retro theme park and resort in northern Arizona. Qualities of his I like are his intelligence paired with insecurity, determination with no sense of infallibility. Kate Sorensen — She learned many of her life's lessons on the basketball court. As a forward at USC she endured physical and mental stress while becoming a star player. In the business world she knew that she had to be better than the men who applied for the same jobs. Her additional burden was her height. Being a woman over 6-2 was an asset on the basketball court, but not necessarily in social or business situations. She's tenacious and cool under pressure. OMN: How do you expect these characters to change over the course of a series? MSB: The characters will certainly develop, like we all do, slowly. Sometimes we have to learn a lesson more than once. OMN: How did you go about making a decision as to both the number and gender of your leads? MSB: Sisters in Crime did an extensive survey of mystery readers a few years ago. They found that the gender of a protagonist/detective was not a factor in most book buying decisions. In my own case, I look for good characters and good story, regardless of gender. With a woman and a man as my protagonists I found it was easier to keep voices separate. I wanted to have the woman save the day at least as often as the man. I wanted to introduce good-natured gender competition and briefly touch on gender inequality issues. And I wanted a hint of romance. OMN: Into which genre category would place Death in Nostalgia City? MSB: It is a suspenseful mystery or a suspense story with many mysteries. I wrote the kind of book I like to read: swiftly moving suspense to appeal to the emotions but with puzzles and mysteries to engage the mind. It's not a cozy nor a James Bond, but there's lots of room in between. MSB: One of my supporting characters, Big Earl Williams, is a DJ whose knowledge of oldies music and the music scene is valuable to the protagonists at critical times. MSB: I started out after journalism school as a reporter. I covered the police beat every day and so became familiar with crime and police procedures. That figures in my novel. Later, I worked writing ads and commercials for Knott's Berry Farm the big theme park down the road from Disneyland. I learned some of the behind-the-scenes drama that takes place at a theme park. Some of that is evident in Nostalgia City. As to characters, my female protagonist is an amalgam of two or three women I've known. Lyle is a little bit of me and several other people. MSB: I've always outlined large writing projects. For the nonfiction books I've written, I created detailed outlines, many pages long, for each chapter. For me, this separates two discrete tasks: organizing and composing. Once organized, I focus on the writing, knowing exactly where I'm going. I approached my novel the same way. It started with a long outline, bio information on my main characters and notes about the plot twists I wanted to include. But things happened. I revised on the fly and made significant changes during rewrites. OMN: How do you go about fact-checking or researching the plot points of your stories? Any particularly interesting topics you've come across? MSB: Fact check? This is fiction. Just kidding. Actually, I can easily spend too many hours searching for details because I love research. Almost as much as writing. One interesting research challenge here was sorting out the geography of downtown Boston. It's a wonderful city, full of history, winding streets and (mostly) caring people. A place I love to visit. OMN: The series is set in northern Arizona. How true are you to the setting in the book? MSB: I use a combination of real and fictional locales. My representation of northern Arizona, its climate, geography and towns is as accurate as I could make it. I invented, however, a fictional Arizona county, small town and Indian reservation. Having lived much of my life in the southwest, I'm comfortable writing about it. I needed to invent new areas of Arizona because the story revolves around the world's largest, most elaborate theme park, which I also invented. MSB: China. It's a huge part of the future of the world. I have no idea, however, how or why Lyle, my ex-cop from Phoenix, would go there. OMN: What are some of your outside interests? Have any of these found their way into the book? MSB: The two spare-time activities that influenced this book are running and traveling the US west. As to the running, my experience helped me handle a pivotal situation in the book. OMN: What is the best advice you've received as an author? And what might you say to aspiring writers? MSB: Journalism professors and newspaper editors had a great deal of influence over my writing practices and techniques. I don't believe in writer's block. I try to get to the point quickly. I research, revise and revise again. My advice to aspiring authors is to consider less stressful jobs such as crab fishing in Alaska, flight testing experimental aircraft or painting radio towers. OMN: Complete this sentence for us: "I am a mystery author and thus I am …". MSB: I am a mystery author and thus I am used to going hungry. OMN: Is Mark S. Bacon a pen name? MSB: My name is my name. My only concern is that because I use a middle initial that might be a hindrance for online searches. Sometimes, if you omit the middle initial, you don't find me. I've always used the initial and certainly not to distinguish myself from other writers named Mark Bacon. OMN: How did the book come to be titled? MSB: The word death pretty much identifies this as a mystery or suspense story and the word nostalgia is attractive to many in my target readership age group. Nostalgia also means slightly different things to different people and I like the ambiguity. Based on previous experience, the first question I asked my editor at Black Opal Books was, "Are you going to change my title?" I was happy it stayed the same. OMN: What kinds of feedback have you received from readers? MSB: Several people have said they like my short, swiftly moving chapters. A friend said she liked my style of using short sentences. I didn’t know I did that although much of my dialog is in short back-and-forth exchanges. One reviewer said my references to 60s and 70s songs and events brought back emotional memories. OMN: Suppose this series were to be adapted for television or film. Who do you see playing the key roles? MSB: I'm not set on one male actor. I could see any of these actors in the role: Dennis Quaid, Kevin Bacon (seriously, and no, I'm not related), Russell Crowe, or Rob Lowe. The female lead character is harder to cast because she's over 6-2. Jennifer Garner would be good for the part and is athletic and relatively tall. Nicole Kidman is even taller, perhaps a better choice. MSB: I read Bradbury, Rod Serling, Richard Matheson, Charles Beaumont. Most of their stories ended with a big punch or twist. I got into reading mysteries later, during college. The first fiction I wrote in school was Twilight Zone-type fantasies. OMN: And what do you read now for pleasure? MSB: I like books with suspense and mystery blended, but I also read a variety of styles and subjects. Some of my recent favorites have included Thunderstruck, Sycamore Row, Fear Index, Shadow of the Wind, The Power of One, Water for Elephants, The Long Goodbye, Matterhorn: a Novel of the Vietnam War and Team of Rivals. OMN: You'd win that challenge! What's next for you? MSB: Nostalgia City, part 2, visits Nevada. Mark Bacon's articles have appeared in The Washington Post, Kansas City Star, Denver Post, USAir Magazine, Trailer Life, Cleveland Plain Dealer, San Antonio Express-News, The Orange County Register, Working Woman, and other publications. He is a former columnist for BusinessWeek Online and most recently was a regular correspondent for the San Francisco Chronicle, where he wrote on travel, outdoors and entertainment. Bacon is a former president of the Orange County Chapter of the International Association of Business Communicators. He and his wife, Anne, and their golden retriever, Willow, live in Reno, Nevada. For more information about the author, please visit his website at BaconsMysteries.com and his author page on Goodreads, or find him on Facebook and Twitter. Uptight has been ex-cop Lyle Deming default setting for years, but his new job, driving a cab in a theme park, promises to cure his chronic anxieties. Nostalgia City is the ultimate resort for anyone who wants to visit the past. A meticulous recreation of an entire small town from the early 1970s, it's complete with period cars, music, clothes, shops, restaurants, hotels — the works. The relaxed theme-park atmosphere is just what Lyle needs — until rides are sabotaged and tourists killed. Then park founder, billionaire "Max" Maxwell, drafts Lyle into investigating — unofficially. As the violence escalates and employees get rattled, Lyle gets help. Kate Sorensen, the park's PR director — and former college basketball player — becomes another incognito investigator. Except that she's six-foot-two-and-a-half-inches tall and drop-dead gorgeous. So much for incognito.